William the Dog Trainer: Waste Industries Full Circle Project Supports Animal Rescue! 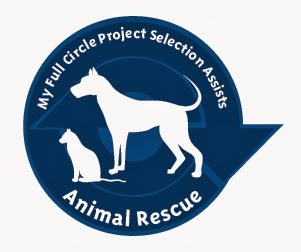 Waste Industries Full Circle Project Supports Animal Rescue! "Welcome to the Full Circle Project, the all-new Customer Driven Charitable Giving project by Waste Industries! Before we get into the details on how this campaign works, we want to take a brief moment to say how thankful we are for your participation. This project is designed to more appropriately direct how Waste Industries handles its annual charitable giving. We take special pride in helping out the communities we service, a commitment that extends from the services we provide to the many charities we give back to each and every year. Now, however, we are doing things with a bit of a twist. From now on, you get to decide how we donate our charitable funds. It won’t cost you a penny extra to participate, as this service is funded 100% by Waste Industries. The twist is that we don’t get to decide how the money is spent anymore, you do! Animal Rescue – Includes charities such as the Humane Society"
"Once you select a category, your iCAN account will be updated with a badge displaying your decision to push Waste Industries donations to the charities within your category. Within 2-4 weeks, you’ll receive an envelope from Waste Industries containing further information on your category and a sticker/decal to attach to your Waste Industries container, showing your neighbors that you have helped direct funds that benefit the charity of your choosing. The more people that donate to your category, the more funds your category could potentially receive." So, if you are a waste industries customer, please consider making the choice of Animal Rescue like the Lovely and Awesome Shane and I did! Waste Industries customers should be getting an email like this soon.